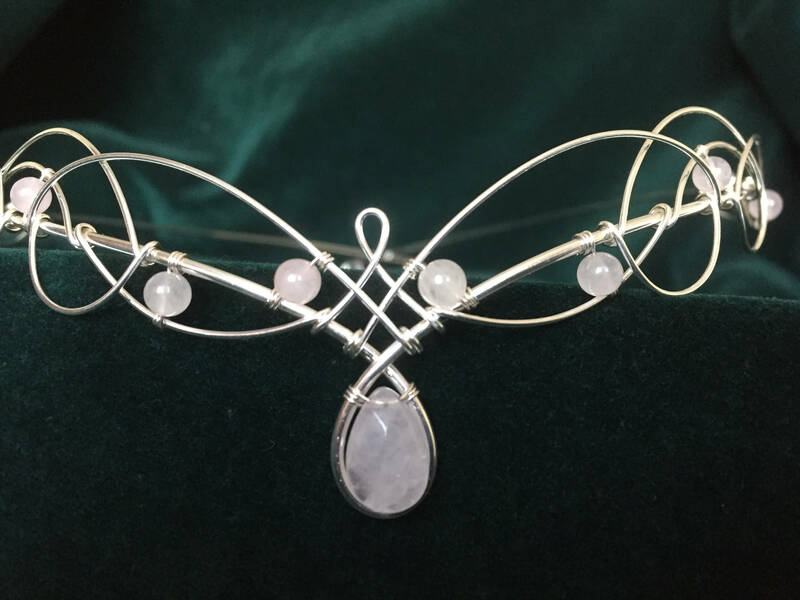 Wonderful celtic elven inspired headpiece, choose either opalite moonstone, amethyst or rose quartz gemstones. 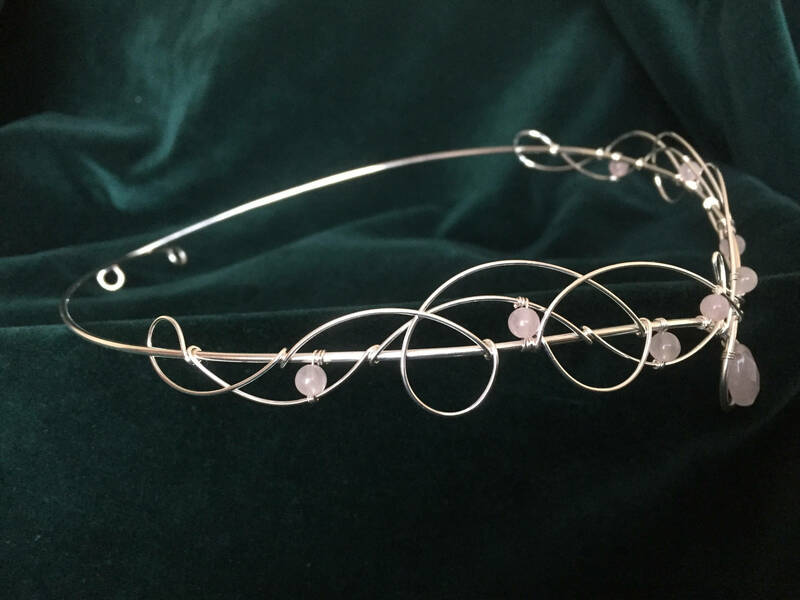 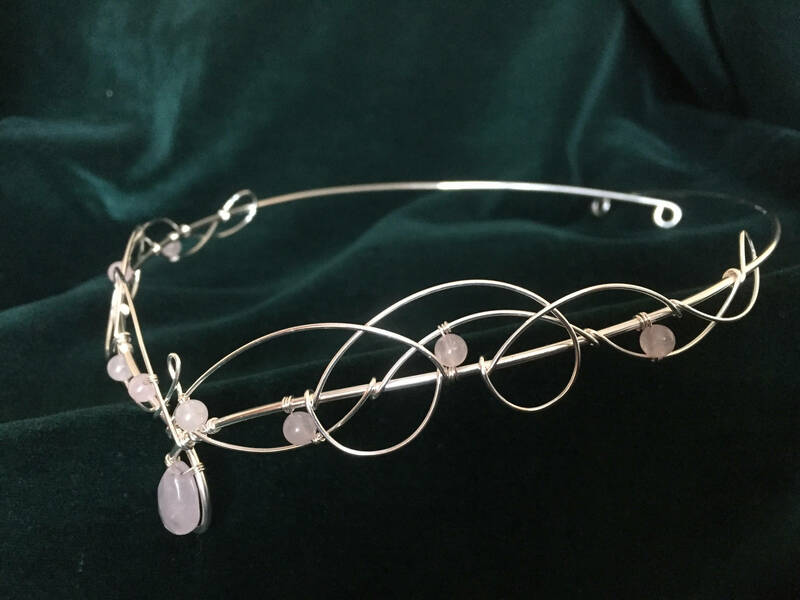 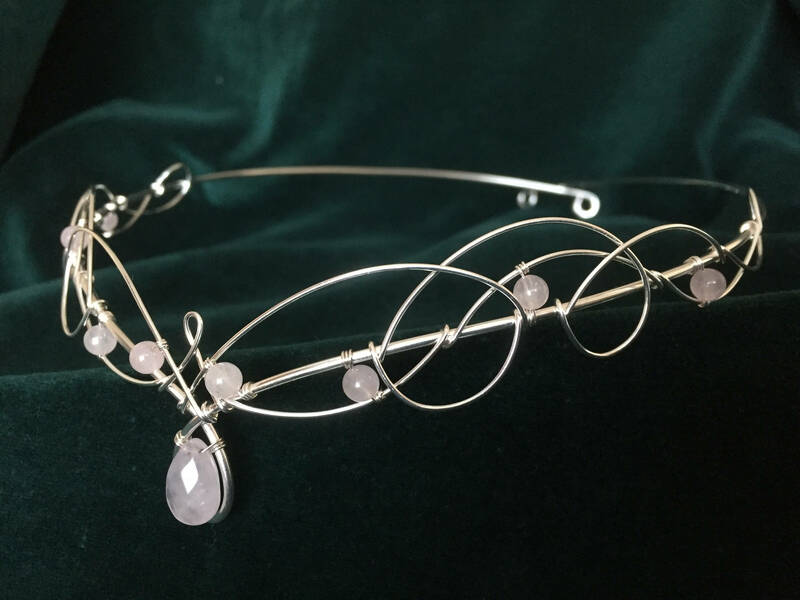 The circlet is silver plated with a pear drop rose quartz, amethyst moonstone centre stone and small round stones around the sides. 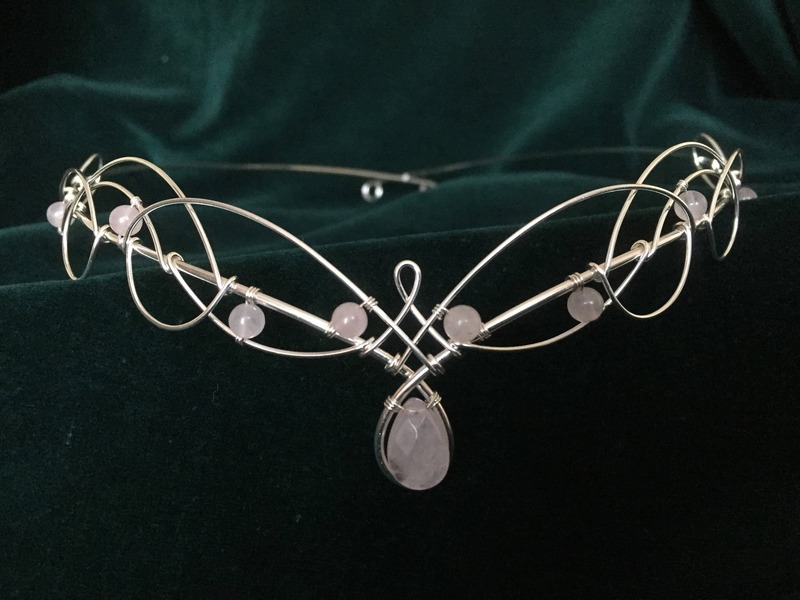 Bin total begeistert. 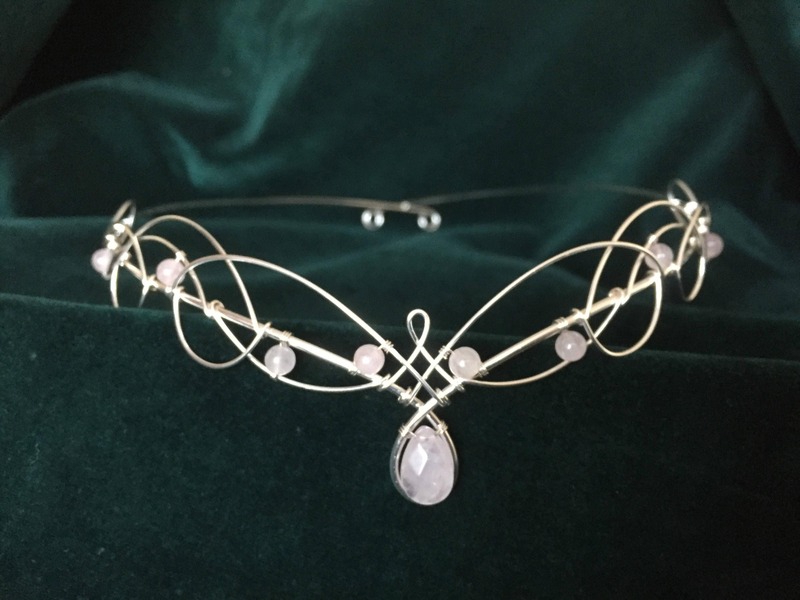 Sieht toll aus.